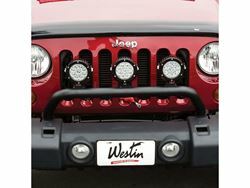 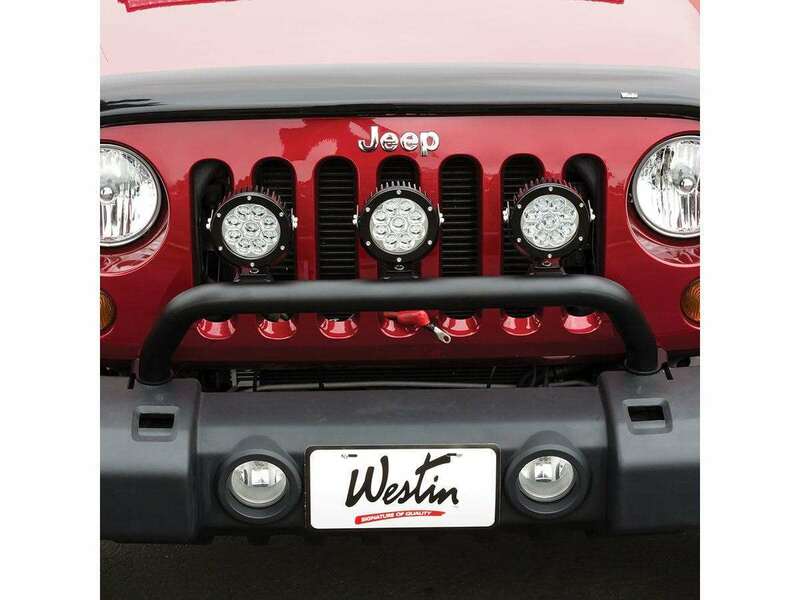 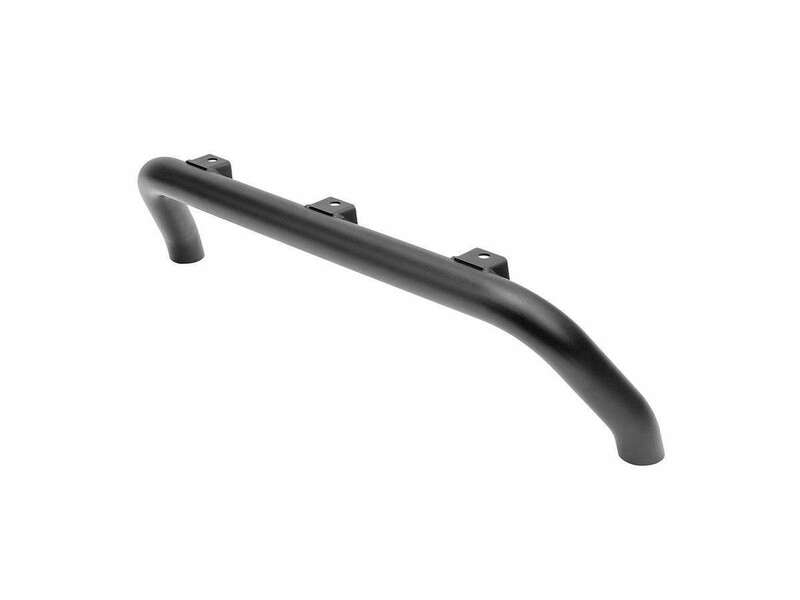 Westin Snyper Bumper Mount Light Bar for Jeep® Wrangler is made of 2 inch diameter, 14 gauge mild steel tubing. Designed for use with OEM stock bumpers and utilizes existing mounting points for a bolt-on installation. 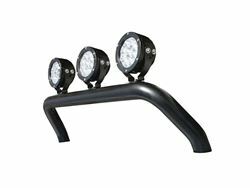 Mount up to 3 auxiliary post mount lights on the welded tabs.